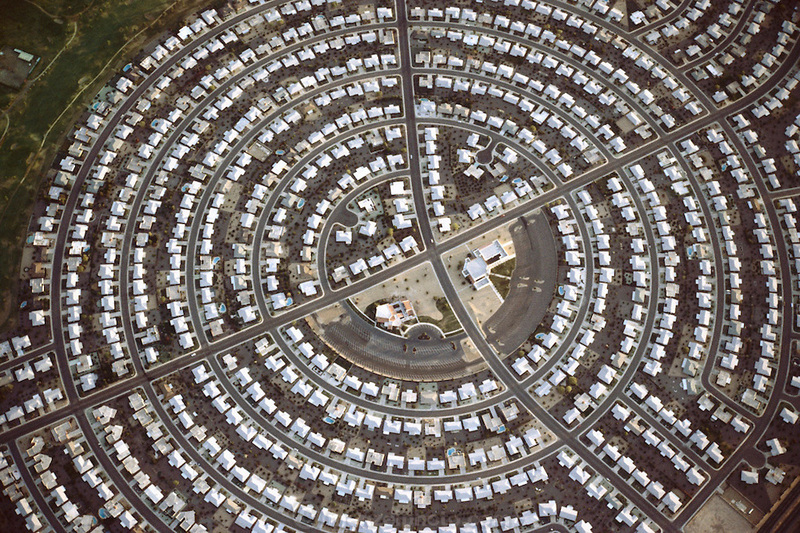 Aerial photograph of tract housing in Sun City, Arizona. Sun City is one of the nations first planned retirement communities for active seniors. The community center is at the center of a hub of circular streets with white-roofed houses..